The late artist Lucian Freud had hoped to use a work by Rembrandt in the Rijksmuseum as an inspiration for one of his final paintings. Taco Dibbits, the museum’s general director, selected Jeremiah lamenting the Destruction of Jerusalem (1630) and showed it to the artist on a visit to Amsterdam in 2010, the year before Freud’s death. Dibbits was hoping that Freud might be willing to paint a picture that was very loosely based on the artist’s reaction to the Rembrandt. The painting was then in the conservation studio, so it could be studied at close hand. Freud was very moved and “close to tears”, Dibbits told us, as he launched the Rijksmuseum’s Year of Rembrandt last month. “It’s a painting about old age, decay and solitude”, which is why he believes it had such an impact on Freud. 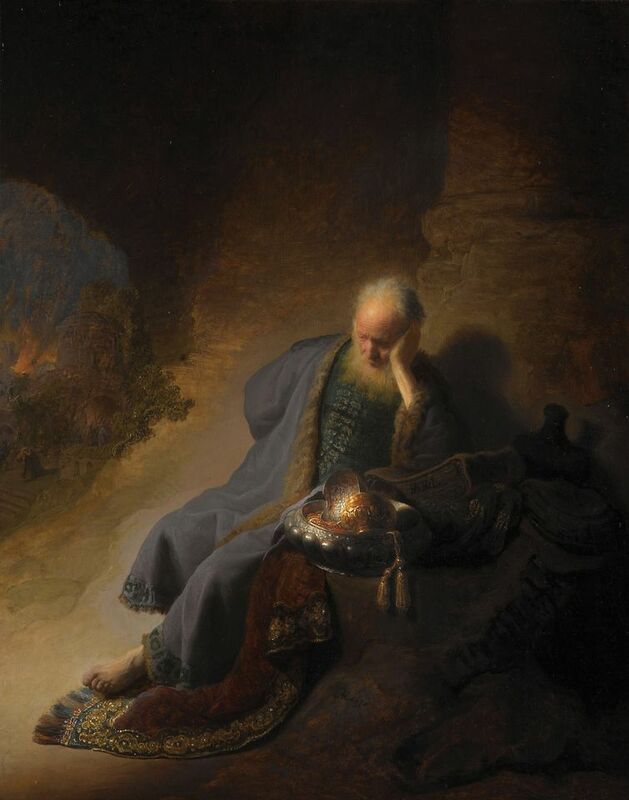 Rembrandt depicts the elderly, exhausted prophet deep in thought, mourning the burning of Jerusalem. Freud, who had agreed to paint a work inspired by the Rembrandt, died aged 88 in 2011—before he was able to complete the project.